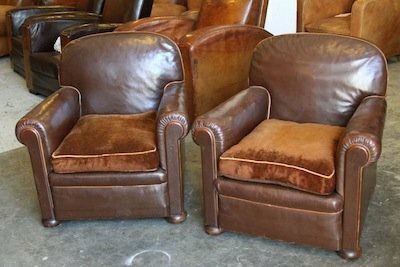 This striking, Deco styling midsize pair of French leather Club Chairs have their original patina and coloring. The cinema back beauties offer a deep rich chocolate hue balanced by their original velvet seats. Clean and comfortable, and in very good condition.